KER Custom Molders, Inc. prides itself on our never-ending goal to improve quality and maintain high standards for our processes and products. 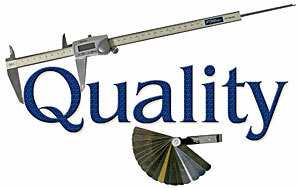 We begin the process with a robust Quality Assurance program. This is where we establish what is required to ensure you get exactly the part that you want. This may include developing gauges or fixtures for your part, or adding specific quality checks to meet a part requirement. We also create custom control plans to map out any issues that could arise throughout your product’s journey from material acceptance to final product shipment. Our quality assurance process encapsulates anything we can do to prevent defects and ensure the proper product is shipped to you.